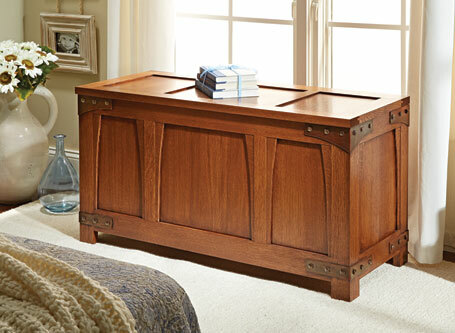 Featuring a great look and loads of storage, this heirloom blanket chest is the perfect addition to any bedroom. 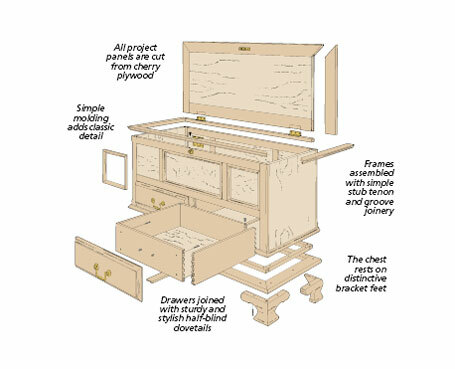 Few projects represent the heirloom tradition better than a hand-crafted, wood chest. 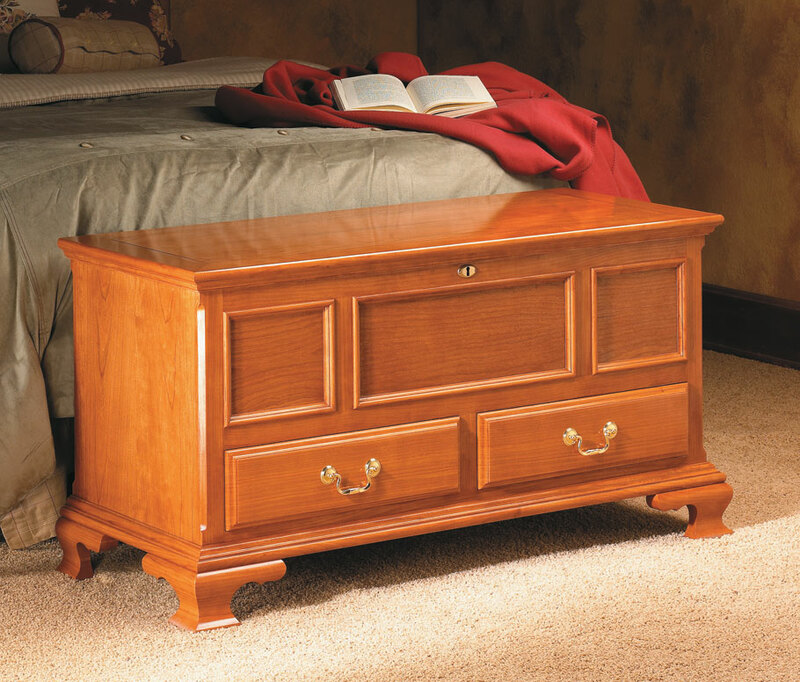 It's a beautiful, classic piece you can have forever. 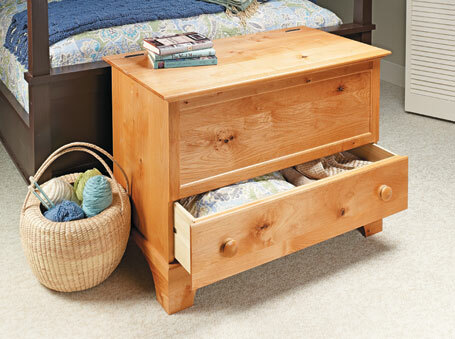 If you've been hesitant to tackle a chest before, this easy-to-build option is the perfect opportunity to have an heirloom of your own. Detailed technique articles for making the bracket feet or the alternate ogee base. 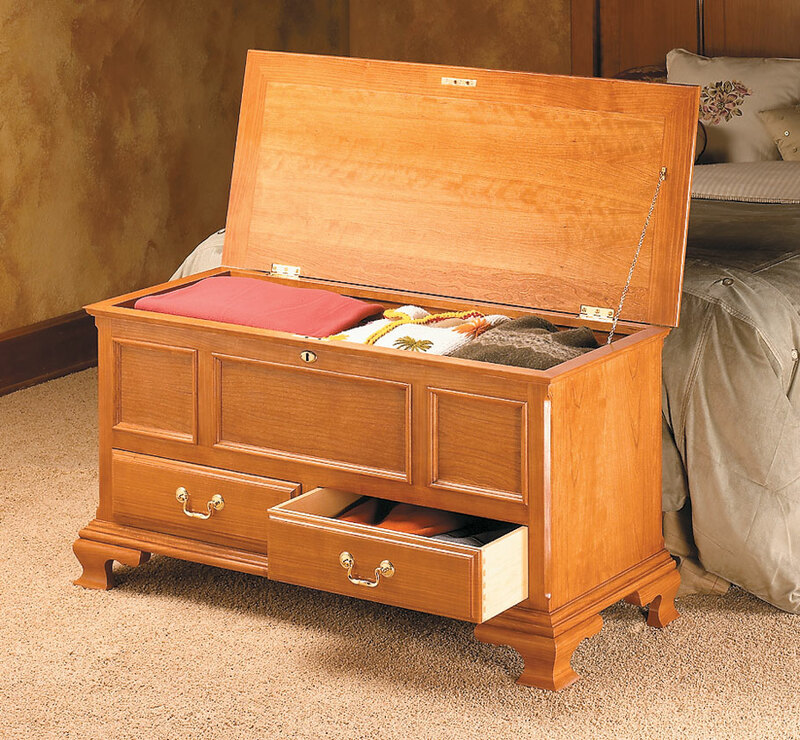 Once you look past the clean lines, attractive details, and beautiful wood, you'll discover the great storage options this chest provides. 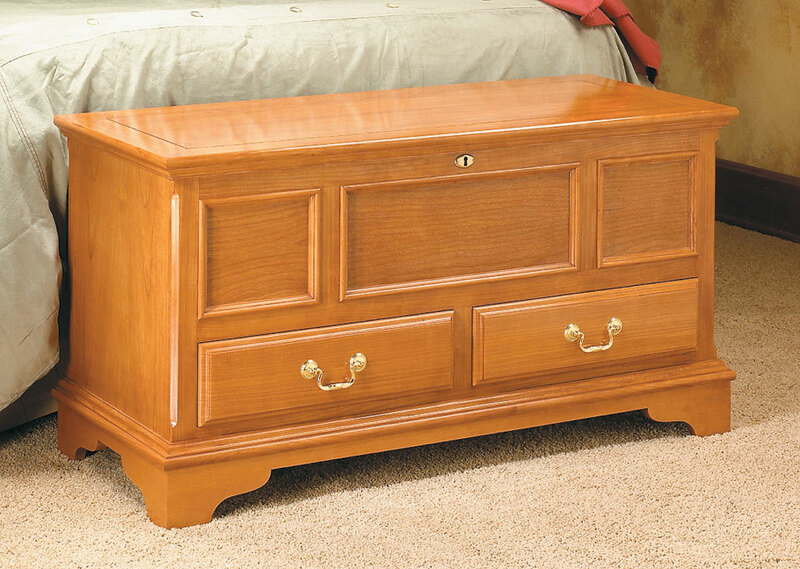 Functionality and beauty combine in this classic piece of American fine furniture. Best of all, it’s every bit as practical as it is attractive.